FDC’s Catherine Osupelem Ochola with party president Patrick Amuriat combed Palkiss on Wednesday seeking support for the Pallisa Woman MP seat in the by-election. Days after winning the Rukungiri Woman MP seat, the opposition Forum for Democratic Change has now turned its guns to Pallisa District, seeking to win the District Woman MP seat in another by-election slated for next month. The seat fell vacant after the incumbent, Ms Agnes Amede, went to the newly created Butebo District, which was carved out of Pallisa last year. And on Tuesday, the FDC flag bearer, Ms Catherine Osupelem Achola, was nominated for the race amid fanfare. Ms Achola’s nomination was graced by FDC party president Patrick Oboi Amuriat and Kyaddondo East MP Robert Kyagulanyi. Achola addresses supporters in Pallisa. Addressing her supporters at Pallisa Market grounds after nomination, Ms Achola pledged to improve the service delivery in education, health, roads and household incomes. “We have another golden chance for the people of Pallisa to also make a change in their representation after a long time. You have been rendered orphans but now you can change it,” Mr Amuriat, said. Mr Amuriat said the FDC candidate has the capacity to offer desired leadership for Pallisa, adding that NRM techniques of rigging elections no longer work. FDC president Patrick Amuriat. FILE PHOTO. “The NRM tricks of concocting results are outdated and no longer work. We are now stronger than before and they get stand in our way because they will be swept away, again,” he said. Mr Kyagulanyi said: “We are the majority and we can use that power to cause change. You can start voting wisely, now,” he said, adding that youth are engulfed in poverty and unemployment because of poor leadership. Achola is expected to face the National Resistance Movement party candidate, Ms Faith Alupo, who was nominated on Tuesday. According to the EC programme, campaigns kicks off on June 7 and end on July 17 while polling day is expected to be held on July 19. 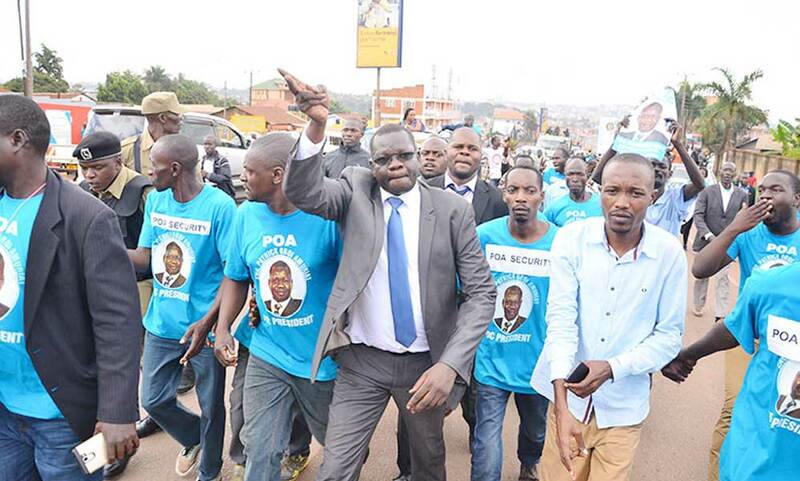 This will be third by-election that the FDC hopes to win in a space of three months, having clinched the Jinja East MP seat and the Rukungiri Woman MP seat.